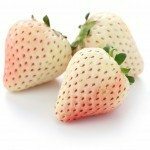 If you are longing for fresh, garden grown strawberries well before the regular growing season, you might want to look into growing strawberries in a greenhouse. Can you grow strawberries in a greenhouse? Yes, you can, and you may be able to enjoy fresh-picked greenhouse strawberries before and after the regular garden harvest. Read on for more information on strawberry greenhouse production. We’ll also give you tips on how to plant strawberries in a greenhouse. Can You Grow Strawberries in a Greenhouse? There’s a huge difference between the taste of grocery-store and homegrown strawberries. That’s why the strawberry is one of the most popular garden fruits in the country. But what about strawberry greenhouse production? Can you grow strawberries in a greenhouse? 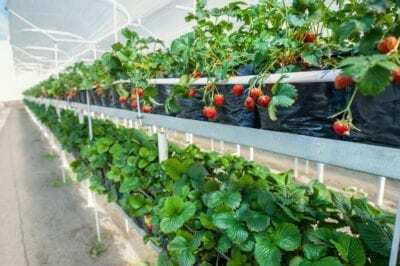 You certainly can, although you’ll need to pay attention to the plants you select and be sure you understand the ins and outs of growing strawberries in a greenhouse before jumping in. 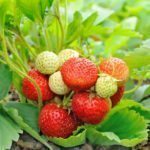 If you want to try growing strawberries in a greenhouse, you’ll find that there are many advantages. All greenhouse strawberries are, by definition, protected from sudden and unexpected drops in temperature. Before the plants flower, you’ll need to keep the temperature at about 60 degrees F. (15 degrees C.). Obviously, it’s critical for your berry plants to get as much sunlight as possible while fruiting. For the best strawberry greenhouse production, situate the greenhouse where it gets direct sun and keep the windows clean. Growing strawberries in a greenhouse also reduces pest damage. That’s because it will be difficult for insects and other pests to get to the protected fruit. However, you may want to bring bumble bees into the greenhouse to help with pollination. When you are growing strawberries in a greenhouse, you’ll want to take care to select healthy plants. Purchase disease-free seedlings from reputable nurseries. Plant individual greenhouse strawberry plants in containers filled with soil high in organic matter. Strawberries require well-draining soil, so be sure your pots or grow bags have plenty of drainage holes. Mulch with straw to regulate the soil temperature. Irrigation is essential for all strawberry production since the plants have shallow roots. But water is even more important for strawberry greenhouse production, given the warm air inside the structure. Water your plants regularly, providing water from the bottom. You’ll also want to feed your strawberry plants with fertilizer every few weeks until the flowers open.